As much as I love eating alone now, sometimes eating with other people is just what you need after a day of solo sightseeing. In fact, I prefer to spend the days alone and enjoy meeting up with other people in the evening. At least then you automatically have something in common and can chat about the food if you run out of things to say! 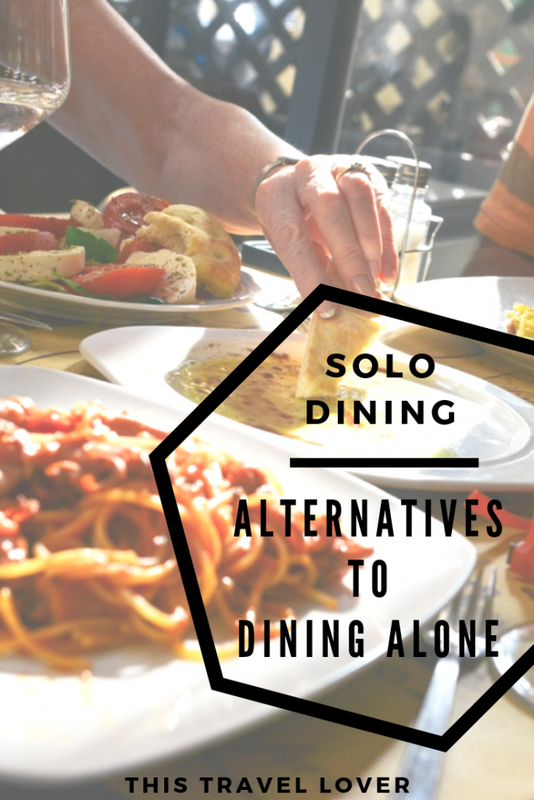 Here are some alternatives to dining alone for when you’re tired of solo dining! A food tour is one of my favourite things to do in a new city. I adore trying local food, but if you are on your own it is harder to be brave and try new things. If you order something and you don’t like it you are stuck with it! However, joining a food tour means a guide will show you around some of the best places to eat in the city, and you will meet other travellers too. Food tours will stop at various different places so you can try a range of foods, and it’s no big deal if you don’t like something – there will be plenty more to enjoy! One of the reasons I love staying in hostels is having other travellers there to make friends with. Even if you book a private room in a hostel, spend some time at breakfast or in the social areas and chat with people. 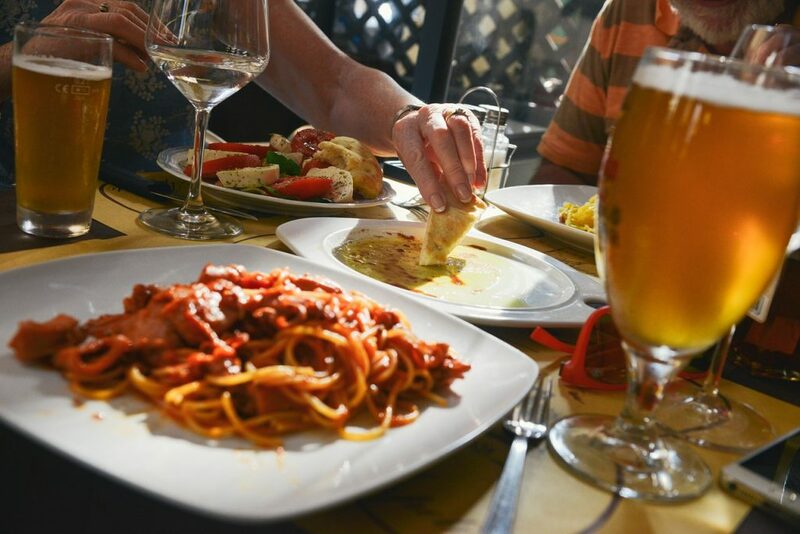 There are lots of solo travellers who are also looking for some company and eating together is a great way to get to know people from all over the world. Plus, you will have people to walk home with or to share taxi costs. Win! 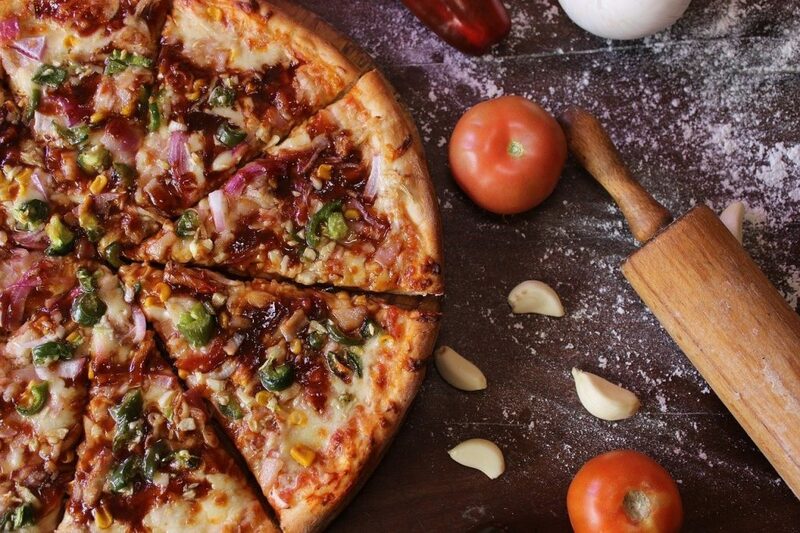 Hostels also often have social events within the hostel like BBQ nights or pizza nights. This won’t be fine dining but makes a nice change to another night eating alone. There are several websites which offer group dining experiences, for example, Eatwith. 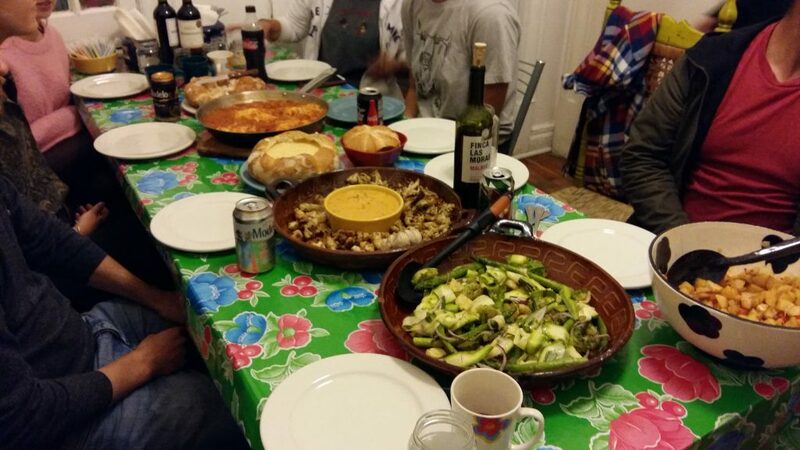 Local people cook meals in their own homes and invite other travellers and locals to eat authentic home cooked food. What better way to enjoy a meal in a new place than in someone’s home? Cooking classes are often daytime activities, but usually, I am so full after eating a big lunch I don’t need to go out for dinner at all! A cooking class is a wonderful way to learn new skills, taste local food and meet other people. Couchsurfing is an online platform for travellers and local people who want to share a cultural exchange. Often hosts will offer a free couch in their home for travellers to stay overnight, but I prefer to use it just for the social events. Couchsurfing members often arrange social events to meet up and make friends. 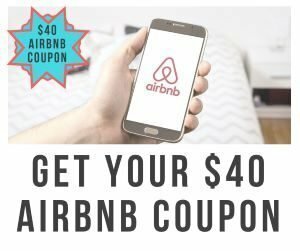 Before meeting up with anyone you can check their profile and reviews that have been left by fellow couchsurfers so you know more about them. 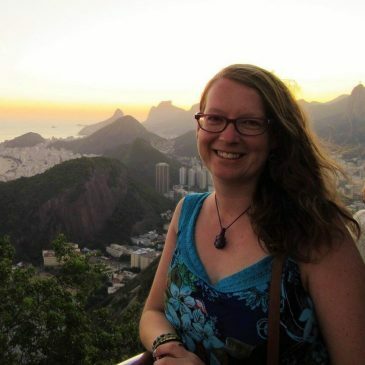 Female solo travellers do not have to be lonely. Many women (and men) travelling alone use Tinder and other dating apps to meet local people and to go out for dinner or on a date so they have some company. If you are only looking for a friendly meeting, make that clear on your profile, and as you would do in your hometown, arrange to meet in a public place so you can safely make sure they are who they say they are! Meeting people while you are travelling is no different to meeting new people wherever you live. I have made some wonderful friends while I’ve been travelling and have also met people I wouldn’t want to see again – just like at home. 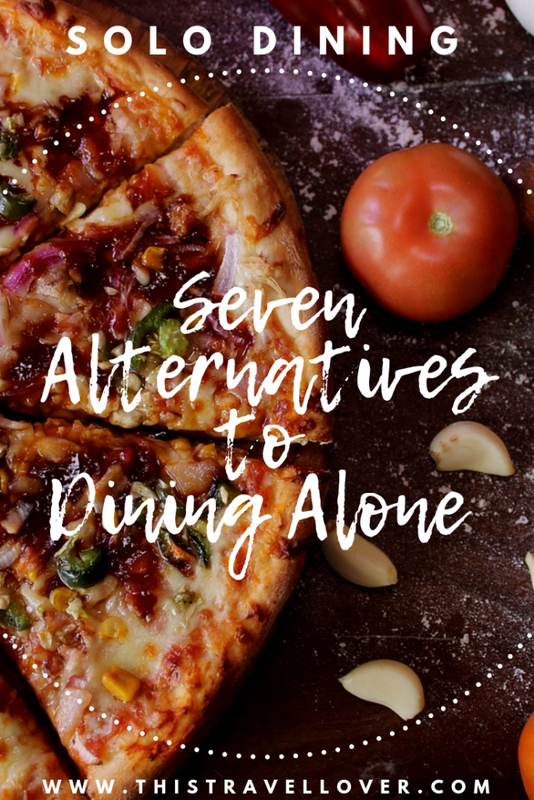 When you try any of these alternatives to dining alone, take the same precautions you would do anywhere and trust your instincts. Don’t be scared to make new friends, but if you don’t get a good feeling from someone you have just met, make your excuses and leave. Don’t be afraid to appear rude, your safety is far more important than hurting someone’s feelings! Love these ideas! I’m the same way, I like touring on my own during the day and then having people to eat and socialize with at night. Free walking tours can also be a good way of meeting people and leading in to going out to eat afterwards.